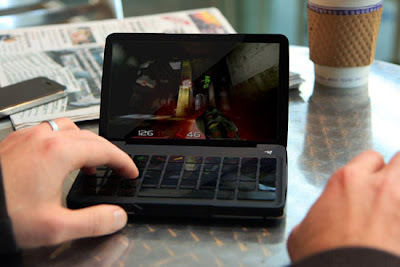 Mouse and Keyboard making company Razer has come up with a concept design for gaming tablet named Switchblade. This has won many award at CES . 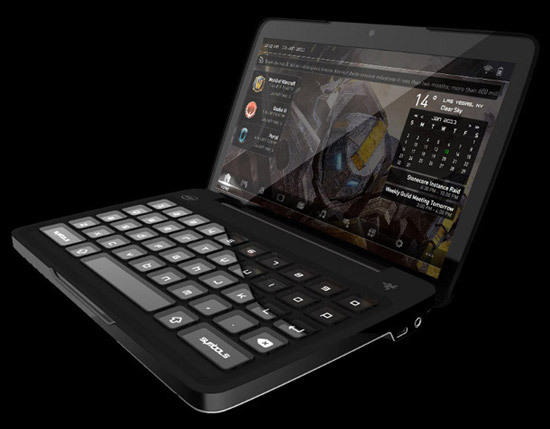 Look wise, its almost like a mini Laptop. With 7 inches screen and tactile keyboard which can adopt to the game being played can comfortably fit into gamers hands. Razer claims Switchblade is the first gaming tablet with 1.7GHz Atom processor which is enough for gaming. Its up to the gamers to decide this decision. What do you say ? This is still a concept device which is not yet released into market from Razer. Gamers need to wait and see for this gaming tablet .